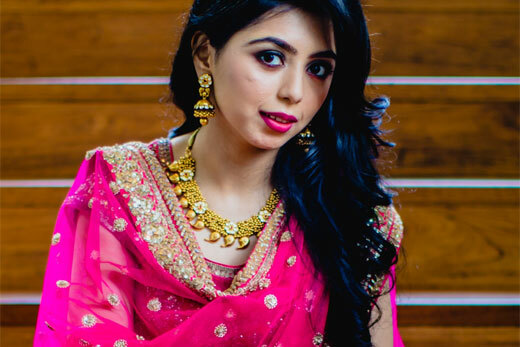 Dipti, our Wedding Sutra bride was a vision in pink as we played up her statement bridal style with the Azva paisley necklace. 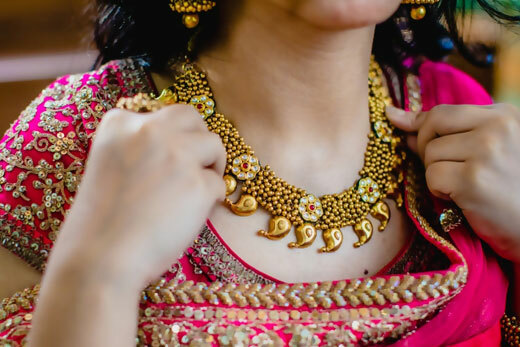 Handcrafted in 22- karat gold with a layer of granules, complete with seven dainty kundan and enamel flowers. 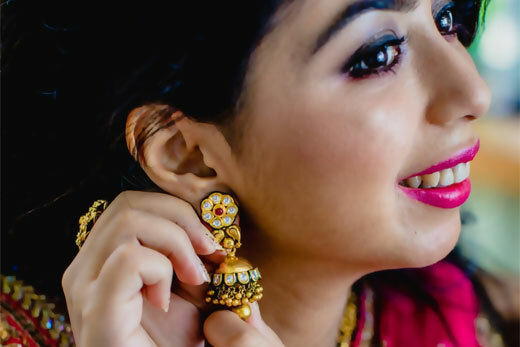 Matching pink lips and winged eyes sum up this pink palette with the pleasant addition of Azva jhumkis handcrafted in gold bead clusters spiralling down an engraved gold bell and extended from a kundan stud. 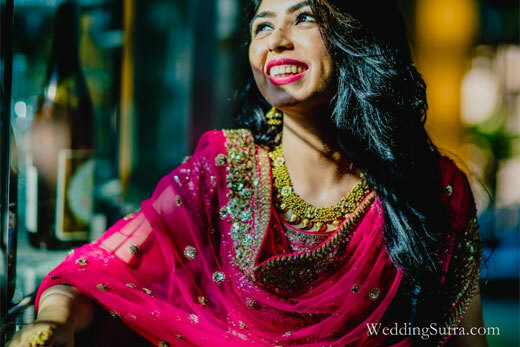 The hair is kept youthfully fresh in layers of curls swept sideways. 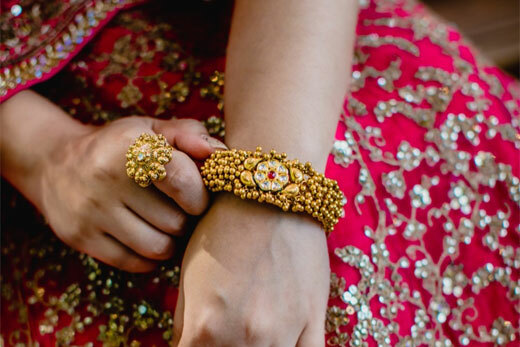 A gold bangle of dainty granules and a cocktail ring with kundan set stones decks up the numerous functions making way for a lavish wedding statement.